How do low-lying communities in southeast Louisiana plan for their futures in a changing environment? Lafourche Parish, like other coastal parishes in the state, is highly vulnerable to risks from natural hazards and future land loss. The Lafourche Parish Comprehensive Resiliency Plan addresses the coastal issues threatening the long-term viability of the parish in conjunction with other parish needs, including greater diversity in jobs and housing options, improved transportation facilities, and greater quality of life for residents. Louisiana National Guard reinforcing oil protection barriers, Elmer's Island, LA. Photo by Sgt. Michael Owens via Wikimedia Commons. Land development patterns along Bayou Lafourche follow the arpent system with long, narrow parcels of land, thereby constraining development. The town is strengthening its resilience to disasters by focusing on strategic economic growth and diversity while preserving the natural assets and existing character. To help lead Lafourche Parish toward greater long-term sustainability and resilience, Lafourche Parish partnered with the Center for Planning Excellence (CPEX) to develop the community-tailored Comprehensive Resiliency Plan and implement the Louisiana Land Use Toolkit, a resource for model development codes and ordinances. The plan utilizes both structural and non-structural tools to help the parish identify critical areas in need of protection while promoting sustainable growth patterns and resilient structures. During the planning process, the advisory committee gathered input from citizens across the parish through in-person workshops, open houses, and online surveys and websites. Four land use scenarios were developed based on ideas from workshop participants to represent different levels and types of future growth, which were then combined to produce an overall shared vision for plan development. The result is a plan that reflects the values and desires of its residents, which are grounded in a strong cultural heritage, diverse economy, diverse amenities, job opportunities, regional cohesion, and access to the bayou. Central to Lafourche Parish’s long-term resilience is protection from natural hazards and future land loss. The parish’s Comprehensive Resiliency Plan emphasizes structural and non-structural flood protection measures, including coastal restoration, economic diversity, and elevated homes, to ensure that impacts from storms and flooding are minimized. It recognizes the importance of regional coordination to maximize the effectiveness of coastal restoration projects, increase the sustainability of the parish and surrounding region, and secure the safety of parish residents. Lafourche Parish is susceptible to coastal erosion, subsidence, and sea level rise. While Lafourche communities are protected by a levee system that parallels Bayou Lafourche on both sides, the area remains vulnerable to the impacts of flooding and hurricanes. Lafourche residents understand these risks and place coastal restoration and wetland preservation as top priorities to ensure the long-term stability of their communities and local economies. The Comprehensive Resiliency Plan stresses the need to plan for future land loss and restoration efforts while maximizing the many economic and recreational opportunities that stem from living so closely with water. Plan waterways and water bodies as recreational amenities. Introduce associated wetlands in long-term phasing in order to clean water and provide additional habitat and amenities on protected sides of levees. Reduce the distance between storm drains and canals or detention/retention basins allowing for higher water levels, which can limit subsidence. Enforce the International Building Code requirements for all new construction to strengthen buildings against high wind damage. Expand and provide programs including land banking and preservation areas, and locate priority bayou-side, outside levees, farming, nature trails, birding, and fishing areas. 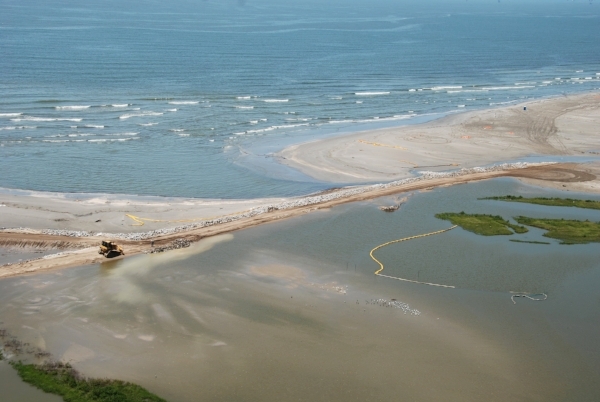 Promote land building, marsh creation, sediment diversion, barrier island restoration, and shoreline protection for natural lines of defense from storms and flooding. Restore the region’s natural hydrologic function, where possible. Resilient infrastructure that can withstand the impacts of storms and handle large flooding events is required to protect residents from the impacts of natural hazards. The Comprehensive Resiliency Plan aims to strengthen stormwater infrastructure systems and pursue efficient regulatory actions. It directs future growth into areas equipped with adequate infrastructure to manage this growth, while hardening and improving existing infrastructure to ensure the safety and viability of communities. Follow historic settlement patterns and building types with land uses organized by elevation and hydrology from high to low ground. Develop an outreach and engagement plan to involve multiple stakeholders and partners in the design and performance of infrastructure. Plan investments in infrastructure so they can be used as the basis for other kinds of investment and economic development, resulting in public dollars leveraging private investment and growth. Use infrastructure investments to create private economic opportunities. Widen drainage ditches and upgrade culverts to protect current structures and future construction from flood events. Develop new green infrastructure that integrates into existing drainage systems for detaining and retaining stormwater. Increase access routes and alternative routes for evacuations and traffic flow by supporting major highway initiatives through council resolution. Coordinate with Port Fourchon to provide shuttle transportation for dock workers, coordinating this effort with residential service to Golden Meadow. Design new developments to accommodate the 4% annual chance event (25-year storm), with a 24-hour duration event in accordance with a total depth of 10.8 inches according to the National Weather Service Technical Paper No. 40. Limit flow rate and volume of discharge from any proposed development to the 25-year storm pre-development rate, and require all development to be above the peak water stage elevation for the 25-year storm or the FEMA BFE, whichever is higher. Prioritize infrastructure projects that will support an enhance ecotourism industry. The economy of Lafourche Parish is strongly linked to the oil and gas and seafood industries. Port Fourchon distributes approximately 18 percent of the nation’s oil supply, and the Parish contributes nearly 40 percent of U.S. exports in the seafood industry. The plan seeks to strengthen these industries, meet the needs of workers employed in these industries, and attract new workers and businesses to the parish. In addition, many of the goals and actions outlined in the Comprehensive Resiliency Plan seek to increase quality of life, safety, and amenities for parish residents and workers. The parish has targeted specific growth sectors in which to attract business and visitors, and it capitalizes on the region’s existing natural amenities by providing recreational opportunities to support the rich cultural heritage and overall health of its residents. Develop a parish-wide parks and recreation plan to fill gaps in needed parks and recreation sites and ensure adequate facilities are developed for future growth. Identify funding and implementation actions for prioritized projects in the 2007 Bayou Lafourche Corridor Plan, including a trail system through publicly owned swampland forest in Lockport, a new seafood market and safe harbor marina in Golden Meadow, and a nature park and marina in Larose, among others. Increase and design public access facilities along the bayou for visitors and residents. Consider developing Eco Parks into the Bayou Plazas that are focused on sustainability principles. Review ordinances for opportunities to require building using resilient design and construction techniques that also blend with the existing character. Work with employers to create parish-wide regional transit partnerships from worker housing to employment centers. Build the economy on innovation and entrepreneurship, such as by frequently revisiting the SWOT analysis in the South Central Region Comprehensive Economic Development Strategy to identify regionally unique assets that should be developed in coordination with the region to build synergy and leverage resources. Use funding from BP to market and rebuild tourism in the parish. Reduce barriers to creating new businesses, such as development of a micro-lending program for very small businesses and self-employment. Create incubator programs for businesses focused on software, auto regulation, internet and telecommunications, and acoustic and other testing technologies. The Comprehensive Resiliency Plan includes specific implementation goals and actions to ensure the plan’s vision is successfully integrated into future development and growth. In particular, the plan outlines specific actions to assist the implementation of the plan over the coming years. It recognizes the importance of public-private partnerships, community involvement, and flexibility in modifying sections of the plan as needed based on changing conditions. Establish a five-year implementation work plan. Conduct annual updates that summarize achievements each year. Prepare a more extensive update every five years to establish a work plan for the subsequent five years. Use the plan to advise and implement the Capital Improvement Plan. Ensure that the plan’s goals and strategies are used to guide development decisions.